As part of the celebrations for the 125th Anniversary it is our intention to renew the Tee Signs around the course. Members are being given the first option to take up sponsorship before it goes out to other businesses in the area. 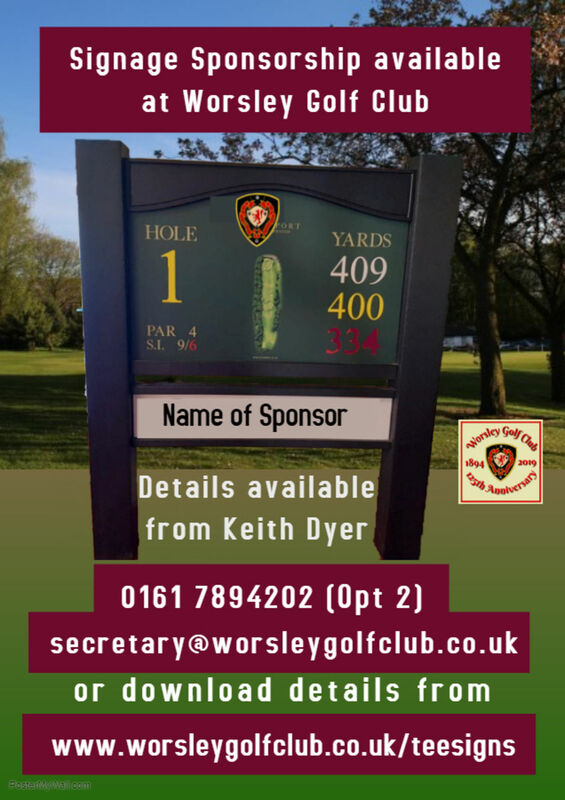 Sponsors will provide details of their company which will appear on the Tee Signs for a period of 2 years. In return for their support sponsors they will receive six 4 Ball vouchers in Year One and a further six vouchers in Year Two. Sponsors are also invited to place an advert on the WGC Video News for one week each month of their 2 year sponsorship. An image of Sponsor's Tee Sign will be attached to drone version of the appropriate hole on the WGC Flyovers. The cost for members' sponsorship of Holes 2-18 will be £600+Vat . There are 8 Holes currently available for sponsorship. Please contact Keith Dyer as soon as possible should you wish to be involved in this project.